Enjoy astonishing scan speeds accelerated by optimized and intelligent 2D image processing algorithms. 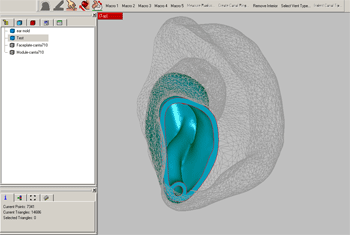 3Shape’s high scan accuracy is validated in accordance with ISO 12836. The standard specifies a test protocol for the assessment of crown and bridge accuracy in dental scanners using specially designed and validated ISO objects. Texture scanning captures 2D images of the model surface and precisely overlays these on the 3D model, enhancing visualization of surface details and allowing technicians to include hand-drawn design guidance markings in the digital design. RealColor&trade; Technology on the D900 allows technicians to capture colored markings, indicating different design details. 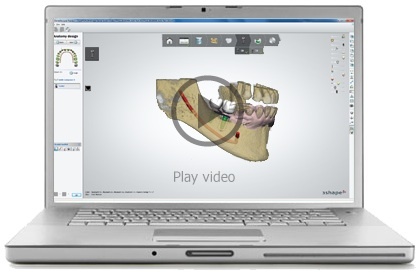 Scan upper and lower models separately and the software automatically determines correct occlusion – bypassing the need for the additional bite scan. Simply mount your models in an articulator or use 3Shape&rsquo;s special fixture to accurately align lower and upper models before scanning. Works with all current 3Shape scanners and any articulator including Vertex.